I listened in via telephone conference from 5-6 AM Hawaii time to the bureaucratic discussions taking place from Nuclear Regulatory Commission (NRC) headquaters in Rockville, Maryland over the U.S. military desecration and contamination of Hawaiian land with Depleted Uranium (DU) radiation and similar contamination at numerous other sites in at least 11 other states and 3 foreign countries. Hawaii peace activists discovered reference to the contamination in 2005 and the military and NRC have been dragging their okoles around on the issue for 10 years without doing anything about it. Citizens have been calling for comprehensive, independent, testing and monitoring to determine the full extent of the contamination from radiation weapons used at PTA and other sites and clean up of the mess. Instead, the Nuclear regulators (much like the Bank regulators) are made up of nuclear industry people and have put the Fox (the US Army) in charge of assessing the condition of the hen house. Instead of cleaning up the mess, bureaucrats are living off the misery of people under U.S. military occupation and pollution. On July 2, 2008, the Hawaii County Council in a vote of 8-1 passed resolution 639-08 which called for stopping all live fire at the Pohakuloa Training Area (PTA) in the center of Hawaii island and clean up of DU present there. It also called for 7 other actions, none of which have been carried out to date. By their inaction the U.S. Army and NRC are thumbing their nose at the health and safety of the residents and visitors of Hawaii and the democratic process reflected in the vote of the Hawaii County Council. Shame on the Army and the NRC. I submitted 8 points including questions to be addressed at the meeting today (see below) and none were addressed. Today’s meeting was originally set by the NRC for 3 AM Hawaii time. It was later changed to 5AM when I complained how inconsiderate that was for encouraging Hawaii participation in the meeting. Bureaucrats often lose sight of who they are suppose to be serving. Regarding Davy Crockett “King of the Wild Frontier” DU License to possess (Nuclear waste dump License) in Hawaii, at least 11 other states and 3 foreign countries (South Korea, Germany, and Japan). I must note that whatever environmental process and laws and NRC provisions apply within the U.S. should also be applied to U.S. Bases in the three foreign countries where the U.S. admits using Davy Crockett DU spotting rounds. The people in those countries have a right to know and have equal justice applied. Below are questions that need answers. 1. I have been informed by an investigative source that up to six Davy Crockett nuclear weapons were actually detonated at Pohakuloa in the late 1950s-early 1960s, not simply up to 2000 Davy Crockett DU spotting rounds used in training there. Please attempt to confirm or deny this report by the March 24, 2015 meeting date and investigate if any U.S. nuclear explosions took place at military ranges other than the Nevada, Alamogordo, New Mexico, the Marshall Islands nuclear testing grounds, and Johnston Island. It took 43 years to confirm that DU spotting rounds were used at Pohakuloa. I hope it will not take another 43 to confirm or accurately deny that nuclear weapons were detonated at PTA in the 1950s or early 60s. Wikipedia says the Davy Crockett M-388 round used a version of the W54 warhead, a very small sub-kiloton fission device. The Davy Crockett nuclear warhead (Mk-54) which was also basically the same warhead with a variable yield for the Special Atomic Demolition device and the AIM -26 Falcon air-to-air missile. The yield range is 10-20 ton yield for the Davy Crockett, to 1 kiloton for the special atomic demolition munition, to 250 ton yield for the AIM-26 Falcon air-to-air missile. Have any of these relatively low yield nuclear weapons been detonated at Pohakuloa or any other sites besides the Nevada Test Site. I have seen a report that up to six Davy Crockett nuclear detonations have taken place at Pohakuloa. 2. For years Army officials repeatedly denied that DU was ever used in Hawaii. They lied. Then they were caught with their pants down by Peace activists discovering in court documents that DU had been used on Oahu at Schofield Barracks but the Army was keeping it quiet. Peace activist on Hawaii island stepped up radiation monitoring at Mauna Kea State Park near the Pohakuloa Training Area (PTA) and recorded initial radiation spikes several times background readings on May 29, 2007 with winds coming from the south off the base toward the park. Three months later the Army admitted DU was used at Pohakuloa at some ranges approximately 1 mile south of Mauna Kea State park Peace activists suspect DU was also used at the Army’s Makua bombing range on Oahu, the now closed military bombing range on the island of Kaho’olawe, Ka’ula bombing range near Ni’ihau, and perhaps other Hawaii sites. On July, 2, 2008, the Hawaii County Council by a vote of 8-1 passed Resolution 639-08 calling for a halt to all live-fire at PTA due to the prtesence of Depleted Uranium radiation. The resolution called for clean up of the DU present at PTA and 7 other actions, none of which have been done by the Army. This has been brought to the attention of the Army and NRC. Why hasn’t action been taken as called for by the Hawaii County Council? 3. Citizens want comprehensive, independent, testing and monitoring to determine the full extent of radiation contamination at PTA. To date, the community has no confidence in the Army, NRC, etc. that such testing and monitoring will be done. It’s now more than 50 years since DU was used in Hawaii and we still have nothing to assure the confidence of the community. When will this pattern of denial, passing the buck, and delays change? Or will it ever change? To date the response of the Army, State and federal officials has been shameful. 4. With the new and improved Saddle Road passing through Pohakuloa, traffic has increased considerably. So too the risk of radiation being spread by vehicles, high winds in the area, and flash flooding. If nothing else, what does the NRC have to say about PTA, with all its known military toxins being located adjacent to a Girl Scout’s Camp? 5. How many live rounds are fired annually at PTA. A Stryker EIS done more than a decade ago said 14.8 million. What is the current figure and name all the weapon systems used? 6. The Army has said that DU was prohibited in training as of 1996. No word on if and when DU was prohibited in training by the other military branches. If DU was not prohibited from being used in training was it used at PTA until 1996 in other weapons besides Davy Crockett? NRC –take off your Davy Crockett blinders. Today DU is used in a wide variety of weapons by all branches of the military: 20mm, 25mm, 30mm, 105mm, 120mm, etc.. Have any of these weapons been used at PTA, Schofield Barracks, and all the other sites where Davy Crockett DU spotting rounds were used? Or will we have to wait another 40 plus years for these questions to be addressed? 7. The Hawaiian Island of Kaho’olawe (28,000 acres) was used as a bombing and live-fire target for more than 50 years. A citizens movement lead by Native Hawaiians stopped the bombing. $450 million was spent to clean up the military mess. It was suppose to clean the entire surface of UXO (Unexploded ordinance) and 2/3 of the island to a depth of 4 feet so vegetation could be replanted. 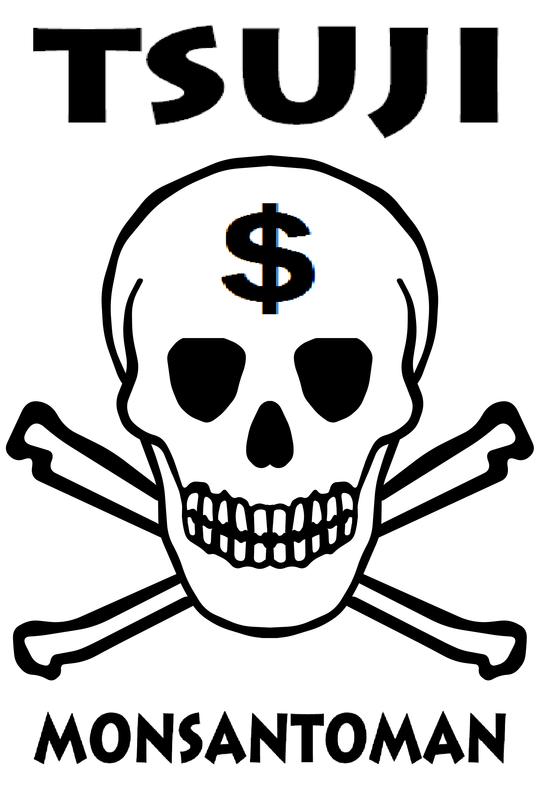 The $450 million is gone and not even the entire surface has been cleared of UXO. UXO is buried all over the island and in the waters surrounding the island. It’s still a mess and as far as I know has never been tested for the presence of DU. PTA, at 133,000-acres is nearly 5 times as large as Kaho’olawe. It has been used as a target for more than 70 years and has confirmed radiation contamination. What will be the cost of clean up at PTA? Do the math. And who is going to pay for it? Not far from PTA is the Waikoloa 120,000-acre live-fire area that was used just for 2 years of training during WWII. Today the estimated clean up cost of that site alone is over $700 million. 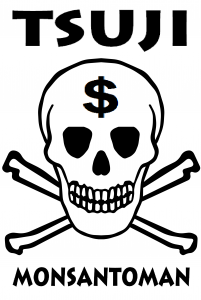 A measly $5-10million a year is presently being appropriated for clean up. At that rate, at today’s prices, it would take 70-140 years for clean up. Again, easy to make a mess. Much harder to clean it up. Always plenty of money for weapons and war. NEVER enough money for clean up. 8. Finally, PTA is Hawaiian Kingdom government and crown occupied lands. Hawaii as an independent nation was illegally overthrown by greedy U.S. businessmen with the direct involvement of the U.S. Marines. Hawaii has been under U.S. military occupation ever since. Pohakuloa is translated to mean: The Land of the Night of long prayer. Pohakuloa is known as the sacred heavenly realm of unity between the three great mountains –Mauna Kea, Mauna Loa, and Hualalai. To bomb Pohakuloa and contaminate it with radiation is considered desecration and sacrilegious to Hawaii’s native people, the Kanaka Maoli, and those of us who believe we need to respect and honor native people’s spiritual beliefs and sacred sites. It’s time for the U.S. to stop being the ugly American. Pohakuloa is a good place to begin. Stop the bombing and all live-fire at PTA. Clean up the mess and end U.S. occupation. Draft Documents from Army Regarding March 24, 2015 Meeting on Depleted Uranium from the Davy Crockett Weapon System. These documents are located in package No. ML15078A094 (which I provided to you yesterday). The package No. is not declared- so please use the individual ML numbers provided above. They are now publicly available. The Army said that they will have one more draft document by Monday, March 23. The NRC staff may not have enough time to review this draft so the NRC staff may not be able to have a detailed discussion on documents received late- in which case we may be in the listening mode. I will try to get the draft document that is expected by Monday, March 23 in the our records system before the meeting. If not, I may be able to provide a pdf file. Agenda is on the second page. Please note that I am responding separately to those who requested the toll free call in number or had additional questions. Thank you for your interest in this meeting. If you have any additional questions, please contact me. Invitation to a discussion on re-registering the Home Rule Party of Hawaii this Thursday! If you are free, please try to attend this meeting. And please pass the word to others. You are cordially invited to our first discussion on whether to re-register the Home Rule Party of Hawaii! Discussion will be at our weekly Ohana Ho`opakele meeting in the youth lounge of the Church of the Holy Cross, 440 W. Lanikaula St., Hilo (right across the University of Hawaii at Hilo), 9 a.m. this Thursday, March 26, 2015. A special guest joining us will be Ruben Solis Garcia of the Southwest Workers Union Texas and instructor of Univerity sin Fronteras of San Antonio, TX. Ruben is a long friend of our president Palikapu Dedman. Enclosed again is a 2-page information sheet of the Home Rule Party of Hawaii from Wikipedia. Come join us for an exciting discussion! For information, contact Ron Fujiyoshi, (home) 808-959-9775; (cell) 808-345-9688 or email. Mahalo! Mk-54 (Davy Crockett) — 10 or 20 ton yield, Davy Crockett Gun warhead Mk-54 (SADM) — variable yield 10 ton to 1 kiloton, Special Atomic Demolition Munition device W-54 — 250 ton yield, warhead for AIM-26 Falcon air-to-air missile 2. For years Army officials repeatedly denied that DU was ever used in Hawaii. They lied. Then they were caught with their pants down by Peace activists discovering in court documents that DU had been used on Oahu at Schofield Barracks but the Army was keeping it quiet. Peace activist on Hawaii island stepped up radiation monitoring at Mauna Kea State Park near the Pohakuloa Training Area (PTA) and recorded initial radiation spikes several times background readings on May 29, 2007 with winds coming from the south off the base toward the park. Three months later the Army admitted DU was used at Pohakuloa at some ranges approximately 1 mile south of Mauna Kea State park Peace activists suspect DU was also used at the Army’s Makua bombing range on Oahu, the now closed military bombing range on the island of Kaho’olawe, Ka’ula bombing range near Ni’ihau, and perhaps other Hawaii sites. There has been a change to the agenda for the March 24, 2015 meeting between the Army and the NRC regarding adding the remaining sites that have depleted uranium from the Davy Crockett weapon system. Specifically, the meeting agenda has been modified to start at 11:00 a.m. (eastern time) and end at 5:15 p.m. (eastern time). Please note that the meeting announcement is updated to show the updated agenda. The Link is http://meetings.nrc.gov/pmns/mtg?do=details&Code=20150266 (need to click on ML number under related documents) or there is a direct link to agenda at http://adamswebsearch2.nrc.gov/webSearch2/view?AccessionNumber=ML15078A425. Please note that currently there is no licensing review or licensing action. This meeting is a pre-application submission meeting. The meeting is not specific to the Hawaiian sites. Topics that are related to the Hawaiian sites will begin at 1:30 p.m. (eastern time). These documents should be accessible to the public tomorrow (Friday, March 20). Please let me know if you want the toll free number to call in to this meeting– as indicated in the meeting notice. Some have requested this number already. I will respond in a separate email to each of these individuals. Thank you for your interest in the NRC’s mission and Source Materials License SUC-1593. If you have any questions regarding the meeting notice, please contact me. I am the NRC Project Manager for the license that the NRC issued to the U.S. Army for depleted uranium from Davy Crocket spotting rounds. I wanted to let you know that the NRC staff will hold a meeting on March 24, 2015 from 9:00 a.m. to 4:00 p.m. (Eastern Time) about this license. The Army plans on submitting its application to add the remaining sites to be licensed. The Army intends to address all of the sties, to include the Army’s Hawaiian installations, in its application. The meeting announcement information can be found at: http://meetings.nrc.gov/pmns/mtg. The public is invited to observe this meeting and will have one or more opportunities to communicate with the NRC after the business portion of the meeting but before the meeting is adjourned. If you are interested in calling in to this meeting via a toll-free teleconference, please contact me and I will provide you with the needed information. I found Rep. Clifton Tsuji’s action on Feb. 19, 2015, as chair of the Hawaii House of Representatives Agriculture committee, killing HB1514 to provide pesticide buffer zones around schools to be repulsive. I wrote a letter to the editor. The letter was published in full in the Hawaii Tribune-Herald on 2/24/15 page A-4. ‘Shame on Rep. Clift Tsuji from Hawaii island for killing the bill for pesticide buffer zones around schools, HB1514. What kind of person won’t protect kids from pesticide poisoning? And it’s reported that as House Ag committee chair, he even cut off testimony from people who flew from neighbor islands to testify. How low can a politician go? 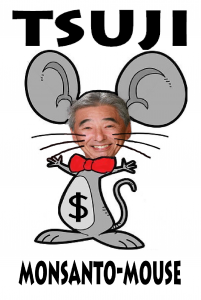 Tsuji unfortunately has become a mascot for corporate special interests, even given the dubious distinction of Biotech legislator of the year. He should now be given the “poison award” by school children throughout Hawaii. As a former banker, now politician, Tsuji deserves to be publicly shamed and exposed as a legislator that acts against the common good, including children’s health and safety. House Ag committee chair Tsuji’s treatment of the public at the hearing of HB1514 was disgraceful and showed little or no respect for the citizens who traveled from neighbor islands to testify. While the Hearing Notice clearly said, in bold letters that testifiers would have at least two minutes to testify, many were not even offered that pittance of an opportunity to participate and were cut off by Rep. Tsuji. Vice Chair Richard Onishi should have spoken up about the sham process taking place. Before the chair killed HB1514 — I only heard one House committee member speak up about the insulting way citizens were treated by the chair. Where were other voices. Silence is consent. Watch the video, https://www.youtube.com/watch?v=s7gUJwUVGfc It’s all on camera. 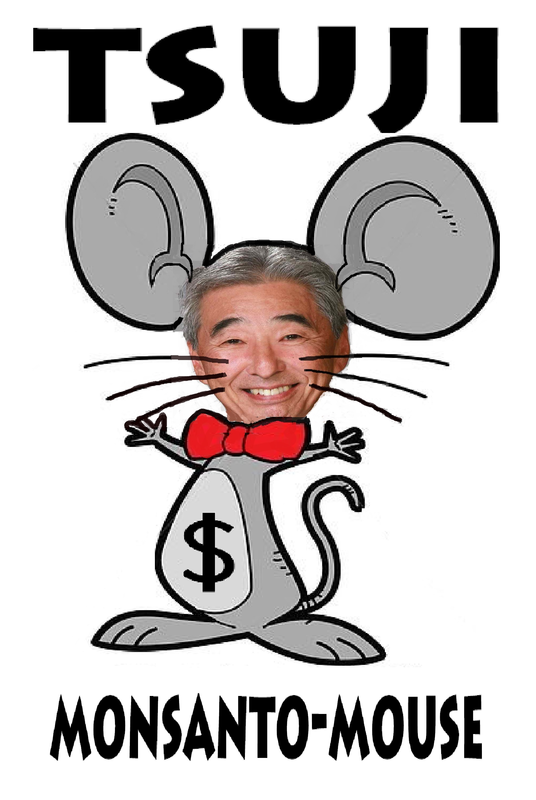 Below is Tsuji’s “Poison Award” and a cartoon of Clift Tsuji as a GMO Monsanto-mouse. Please feel free to make copies and distribute widely. Clift Tsui has become a GMO corporate mascot and a disgrace to the democratic process. If he had any decency left, he would resign. Thank you to all of you aloha aina warriors. About an hour into today’s senate session, senate president Donna Mercado-Kim announced that governor Ige had withdrawn the Ching nomination. We WON!!! The yes voters were afraid to go on record, knowing that the voters were so opposed and that there would be unending fallout over their vote! So they prevailed upon governor Ige to withdraw the nomination. You folks made this happen!